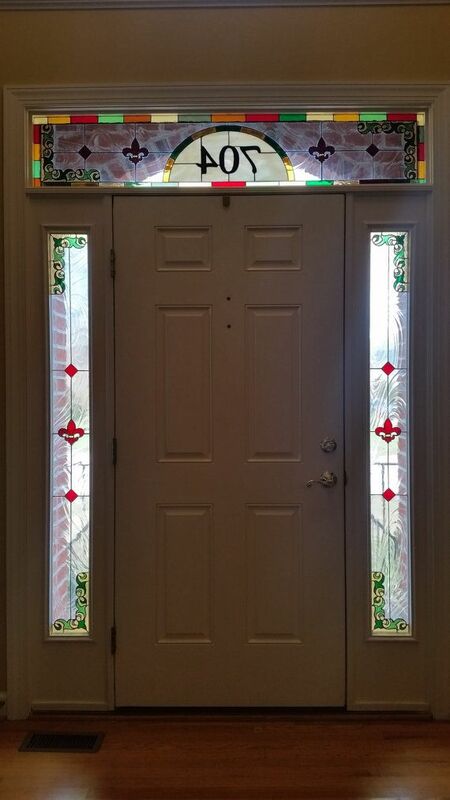 This simple yet elegant set of 3 pieces comprises one transom and 2 sidelights. - Transom: 62" wide X 12" tall. - Sidelights: 6 wide X 62 7/8 tall. For these pieces we used clear textures on the background and translucent opals for the accents. Note: Shipping cost to be determined according to location, quantity and size of the pieces. 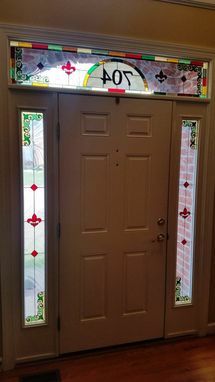 If you take a look at the last photos listed, you'll be able to compare the big difference made, in our customer's home, with the addition of these 3 stained glass pieces.